At E.S Moss we have a fantastic relationship with local authorities around London that sees us work on complex and challenging buildings to create positive outcomes for authorities and citizens alike. Given our reputation within the local community for excellence, discretion and efficiency as well as our accreditations which include Construction-line and CHAS which are a pre-requisite accreditations for many Local Authorities. 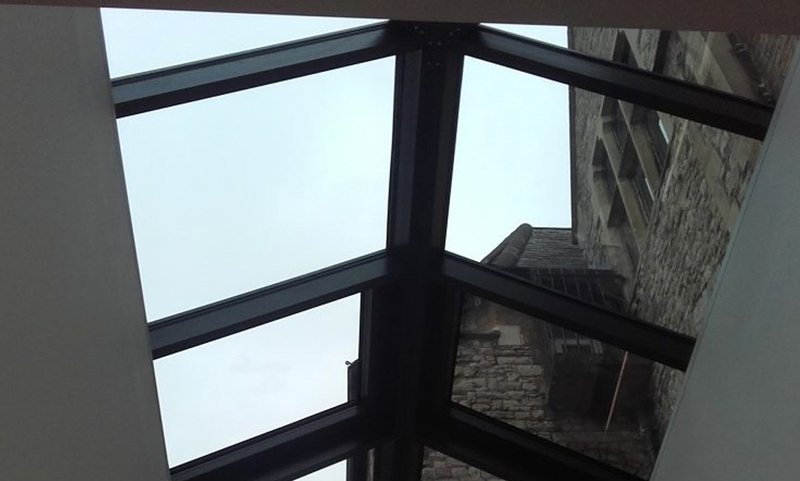 The Library roof-light had leaked for a number of years and the school wanted to replace it and install a new acoustic ceiling. They also wanted to reduce sound transmission from the school Hall to basement teaching areas.